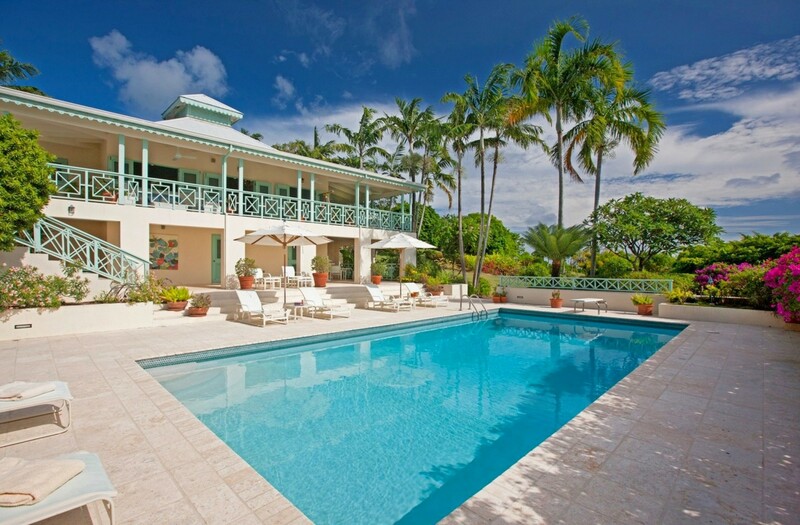 Welcome to Mahogany Hill in Nevis, a luxury 5 bedroom 3,400 square foot villa with private pool set within its own private gardens and located within the beautiful and very exclusive Four Seasons Resort in Nevis. 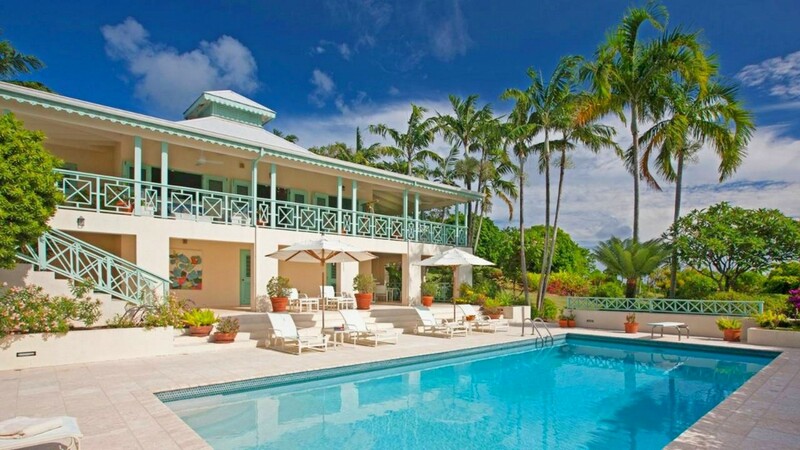 Reminiscent of stately British plantation homes, this five-bedroom Caribbean vacation villa is ideal for a romantic getaway or tropical vacation with family and friends. 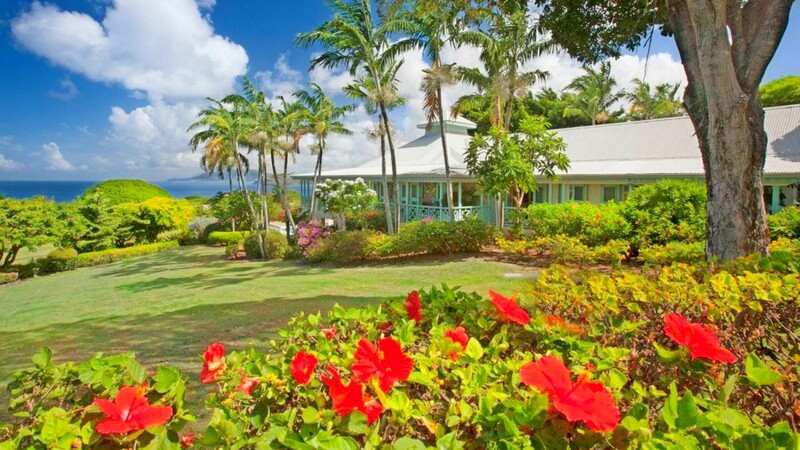 Mahogany Hill number 1907 is located at the edge of the Robert Trent Jones II golf course, has stunning views of the ocean and St Kitts off in the distance. 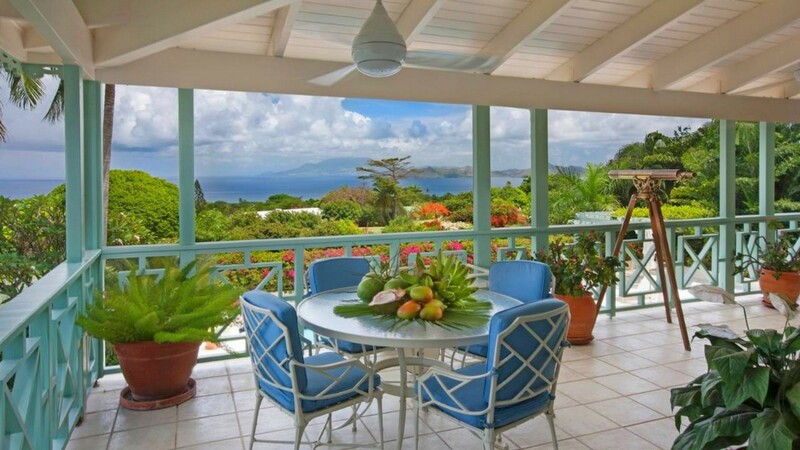 This luxury Nevis vacation rental sits 98 metres (320 feet) above the Caribbean Sea and is just a short drive by golf cart to the beach and to the Four Seasons Resort. All the islands attractions are a short drive from the resort. The entrance level of the villa is on the first floor and features a stunning living and open plan kitchen which opens directly onto a spacious covered terrace at the front. 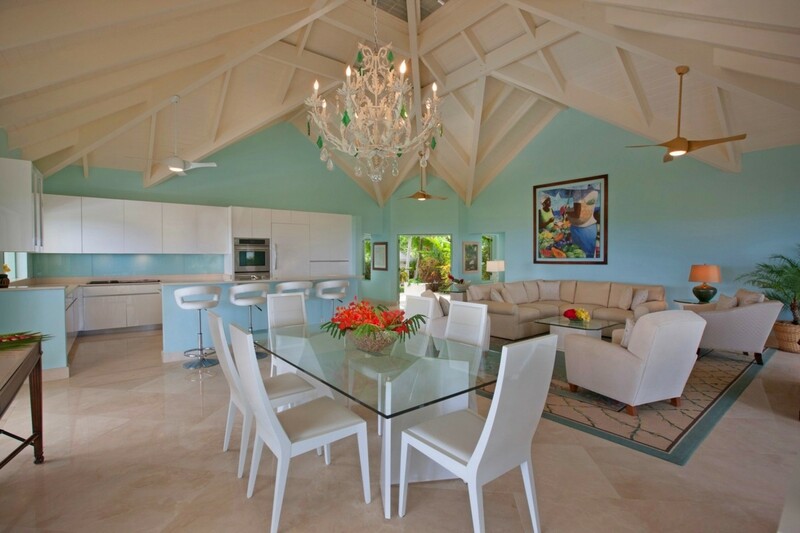 The walls are painted a bright turquoise blue which give you Caribbean ocean feel; there is an eye catching 6 seated glass dining tables with a stylish chandelier overhead. One can also relax on the huge circular couch in the entertainment area. 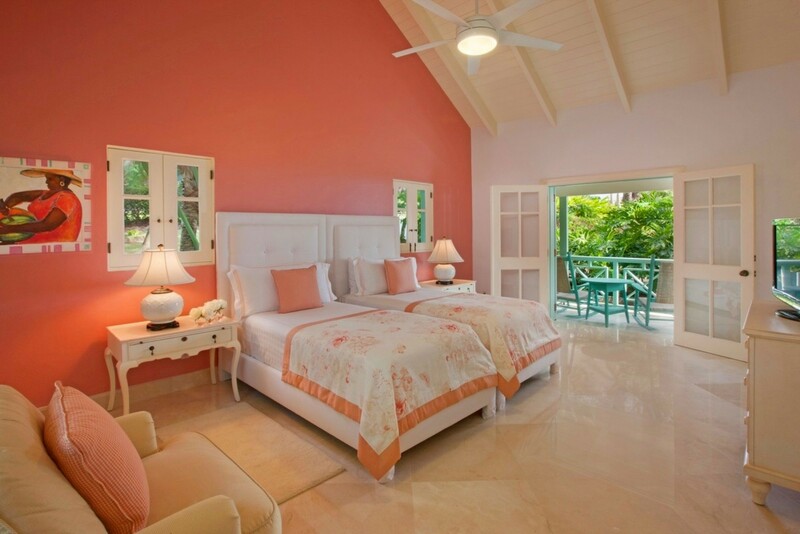 On either side of the living area are the two master bedrooms each with king beds and en-suite bathroom. 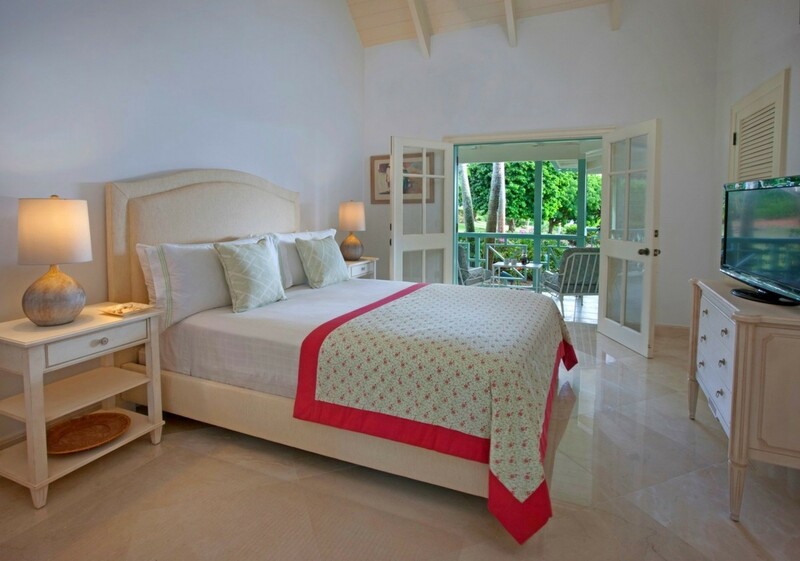 Both master bedrooms also lead directly onto the terrace. The lower floor features the two twin bedded rooms and a large recreation room which can also be used as a twin bedroom if requested. The living area leads out onto the terrace with runs the length of the villa. 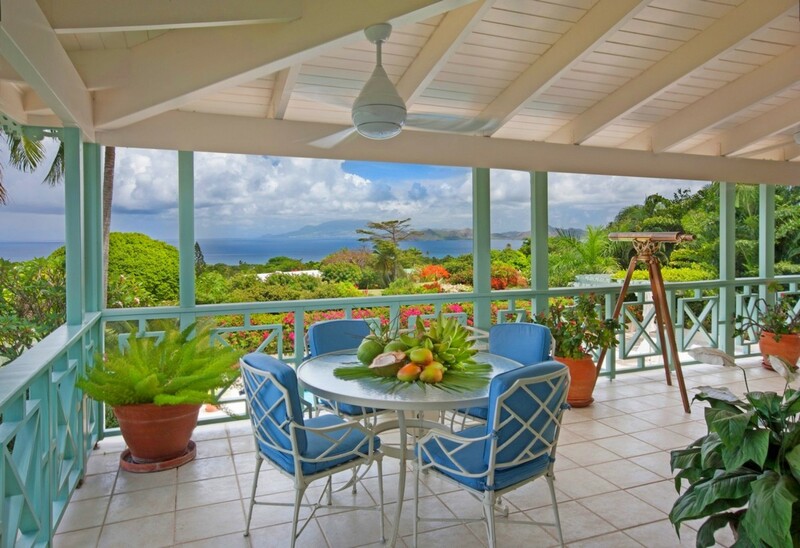 This tiled area has breathtaking views of the Caribbean and the Nevis countryside. 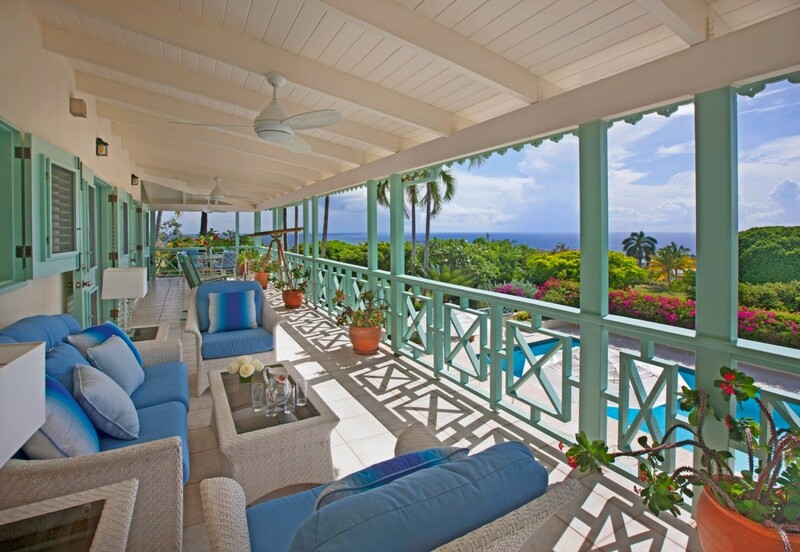 Here is the perfect place to relax during the day, read a book or enjoy pre dinner cocktail at sunset. 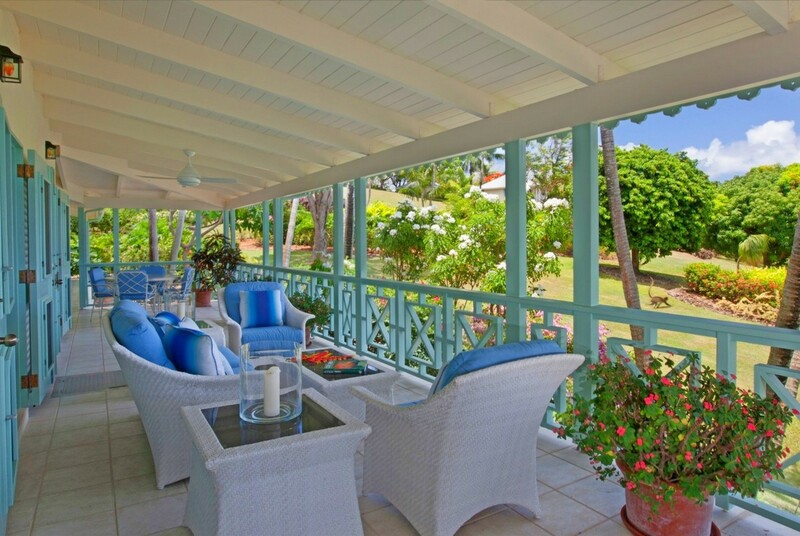 The gardens and outdoor areas of Mahogany Hill Villa are truly stunning. 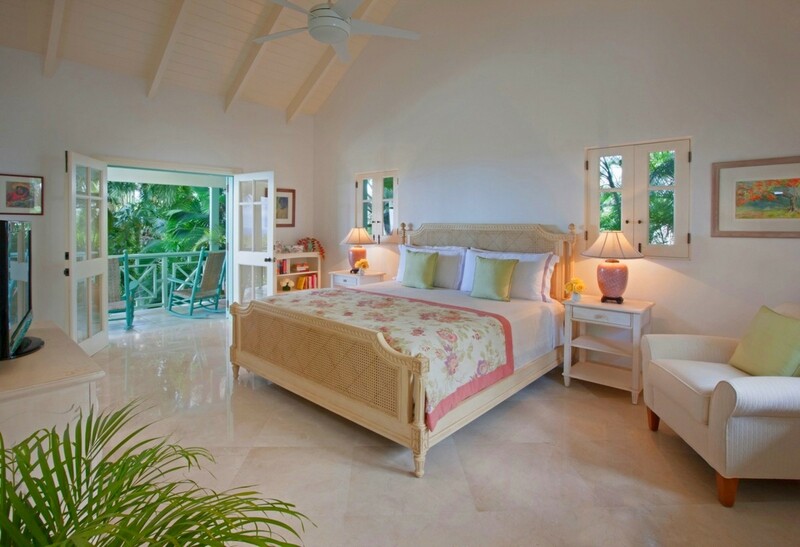 There is a lovely large heated swimming pool which is surrounded by lush tropical gardens full of flowers and plants. 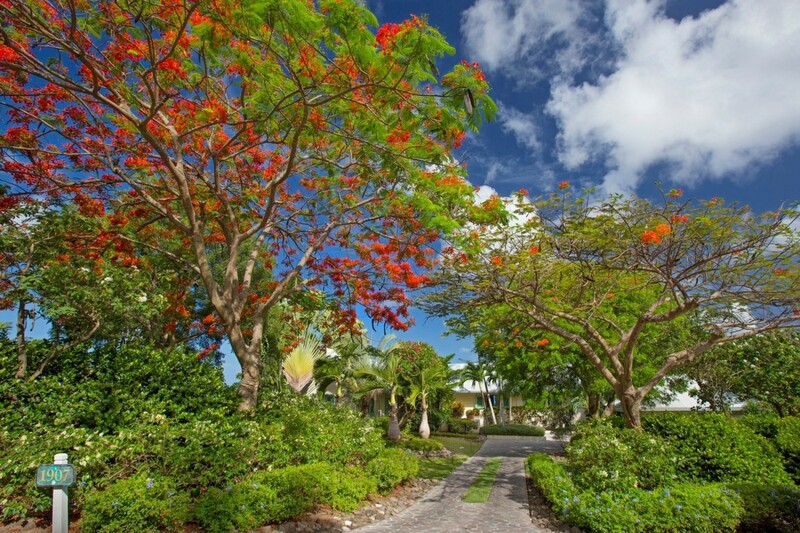 The spectacular Pinney’s' Beach is located just steps away from the Resort. 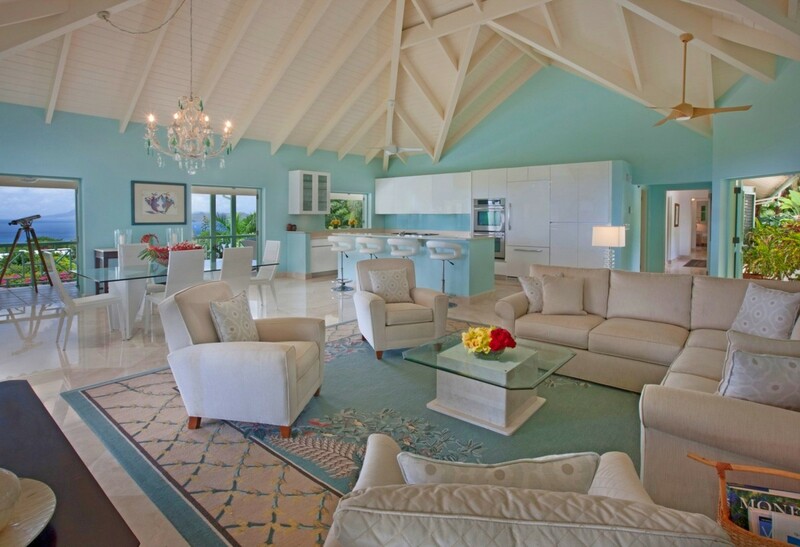 Play in the waves, go snorkelling or relax in a private cabana-style beach house complete with a flat-screen TV, books and magazines, toys for children, an open-air deck and a dedicated House Attendant. Or, soak up the sun at any of the Resort’s three infinity-edge swimming pools. 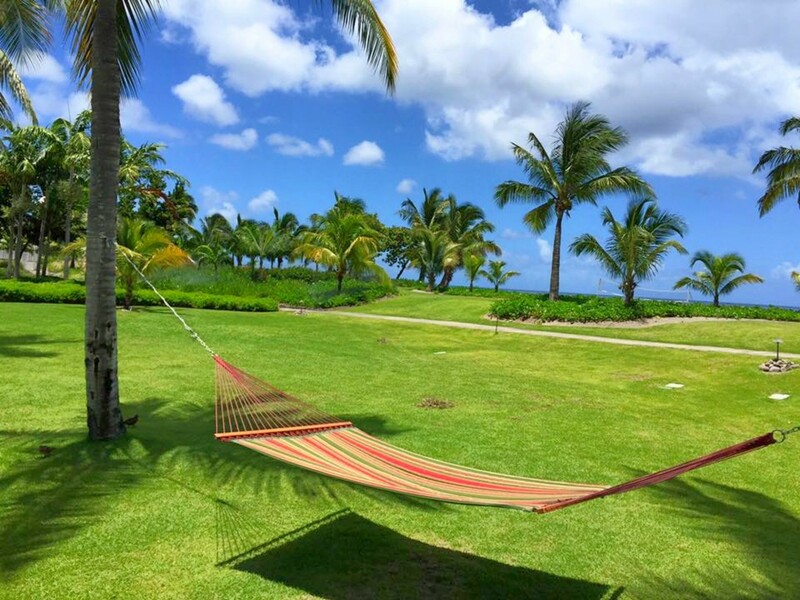 Four Seasons Resort Nevis provides tennis lovers with everything they could possibly need. Comprised of four red clay courts and six hard courts (half of which are lit up for night play), the Resort’s tennis facilities are truly world class. The pro shop, located in the sports pavilion, offers everything from equipment to clothing to accessories, and you can even arrange to take lessons from tennis pro. CORAL GRILL With a commanding view of the Caribbean Sea, Coral Grill is an upbeat restaurant serving impeccably fresh seafood, steaks and more, located upstairs in the Great House. CABANA A popular daytime dining destination, Cabana is located between two of the Resort's pool areas and offers a menu of delicious snacks, drinks and lunchtime specialties. MANGO For spectacular, open-air dining just steps away from the sea, be sure to grab a seat at Mango. Try the Fisherman's Choice or our famous barbecue ribs. OCEAN TERRACE Located off the Great House and Library Bar, this al fresco restaurant features rustic Italian classics with a tropical twist. $27 coastal protection levy per night.